Sequence work for “NORTH AMERICA“, Discovery Channel 2013. Produced by SILVERBACK FILMS LTD., Executive Producer: Keith Scholey, Series Producer: Huw Cordey. GULO FILM PRODUCTIONS filmed in the Canadian arctic in summer 2011. Sequence work for the BBC landmark series “FROZEN PLANET“, BBC One / Discovery Channel 2011. Produced by the BBC Natural History Unit. Executive Producer: Alastair Fothergill, Series Producer: Vanessa Berlowitz, narrated by Sir David Attenborough. GULO FILM PRODUCTIONS filmed the sequence “Wolverine & Ravens” for FROZEN PLANET’s programme 5 – “Winter” (producer Kathryn Jeffs) in 2009. Sequence work for “IRON CURTAIN – RIBBON OF LIFE“, BBC Two – “Natural World” 2009 (co-produced by NDR Naturfilm, ORF). Produced and directed by Paul Reddish and FREE SPIRIT FILMS. GULO FILM PRODUCTIONS directed and filmed the sequence “Finland” showing wildlife and science programmes at the Finnish/Russian border in 2008. “MONKEY KINGDOM”, Disneynature, 2015: Disneynature’s eighth True Life Adventure “MONKEY KINGDOM” spotlights the gripping reality of a newborn monkey and its mother, struggling to survive within the competitive social hierarchy of the Temple Troop, a dynamic group of monkeys who live in ancient ruins found deep in the storied jungles of South Asia, alongside a rich cast of forest characters. GULO FILM PRODUCTIONS contributed the sloth bears, peacocks, the waterfall and some leopards. 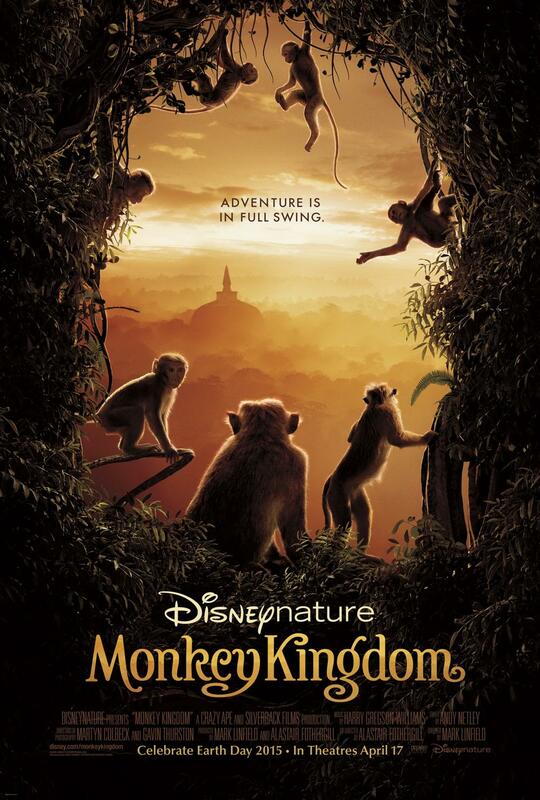 “MONKEY KINGDOM”, directed by Mark Linfield, co-directed by Alastair Fothergill, produced by Jungle Beat Productions Ltd., has been released Earth Day 2015. Special shots for “SERENGETI”, NDR Naturfilm / Universum Film, Germany 2011: Super Slow Motion Footage and Remote Controlled Camera Angles for Cinema Documentary on the Serengeti Ecosystem in Tanzania and Kenya, Africa. GULO FILM PRODUCTIONS filmed Super Slow Motions up to 2000 f/sec of Crocodiles catching Wildebeests and Zebras, Hippos, Cheetahs catching Thomson Gazelles and Wildebeests, African Fish Eagle catching Fish and other wildlife in June/July 2009 at the Grumeti River in Tanzania and September 2009 at Masai Mara NP in Kenya. 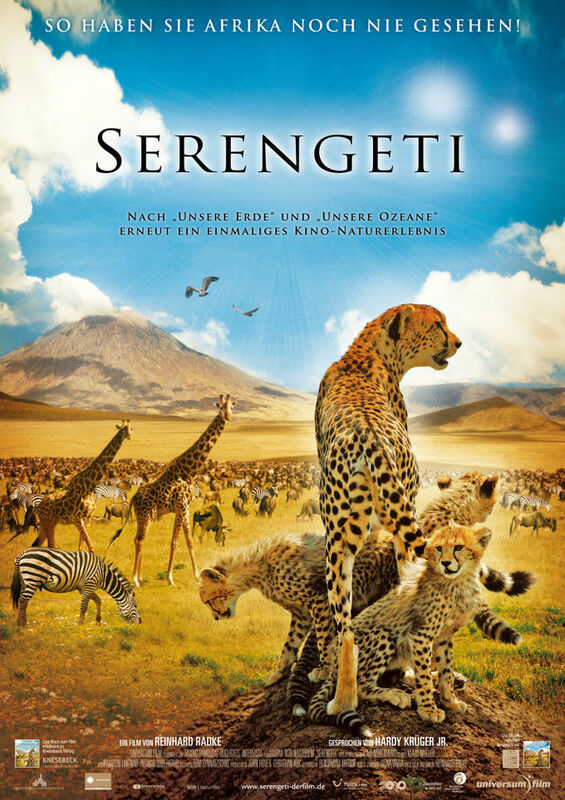 “SERENGETI”, produced by Studio Hamburg DocLights Naturfilm and directed by Reinhard Radke, narrated by Hardy Krüger Jr., has entered the German Cinema on 3rd February 2011. “RUSSIA – REALM OF TIGERS, BEARS AND VOLCANOES” (“RUSSLAND – IM REICH DER TIGER, BÄREN UND VULKANE“), NDR Naturfilm / Polyband, Germany 2011: Cinema documentary which contains the highlights of all 6 parts of the “WILD RUSSIA”-series, including highlights of the GULO FILM episode “THE URALS”. 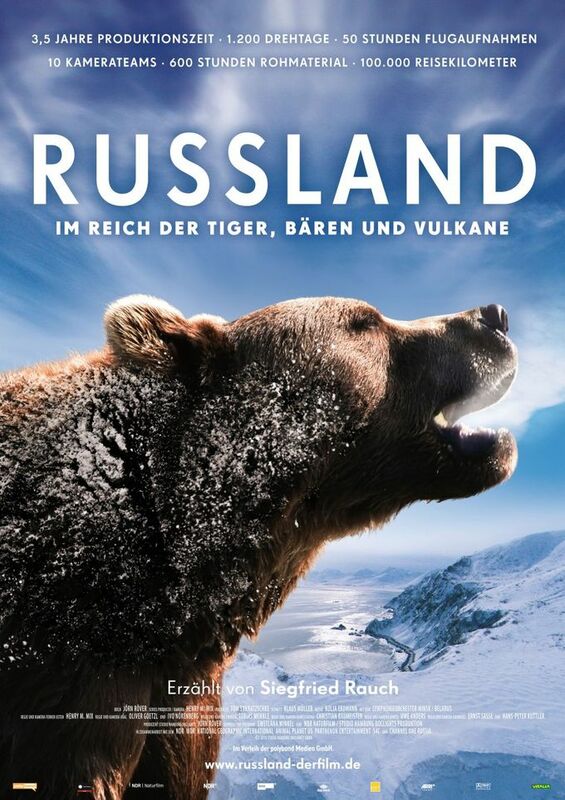 “RUSSLAND – IM REICH DER TIGER BÄREN UND VULKANE”, produced and directed by Jörn Röver / Studio Hamburg DocLights Naturfilm, narrated by Siegfried Rauch, has entered the German Cinema on 13th January 2011.